I have always been a huge fan of Lee Radziwill. She is that one person I would love to have over for dinner. When I was a kid, I cut out every photo of her I could find. It made quite a collection and like my own personal "Rosebud" I dragged that collection around for years. My last move, the envelope the pictures were in broke, and most of the collection was lost. I took it in stride, as I was much older, and there was much more in my complicated life than old newspaper clippings. Though I will admit to the fact that every time I see a new photo of Lee Radziwill, I think seriously of cutting it out! 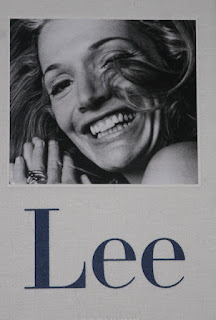 So you can imagine how happy I was to Lee by Assouline. It was as if someone had taken my collection and bound it together for me. I couldn't wait to get my copy and I was not disappointed. To this day, I still believe she is one of the most beautiful women I have ever seen.